One of my favorite pastimes is browsing wedding blogs and magazines. 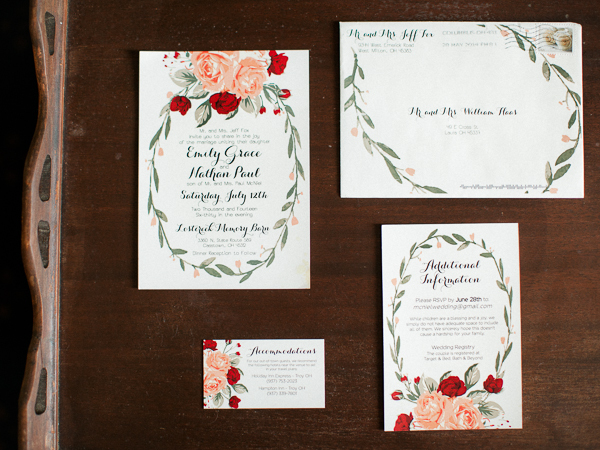 Seeing all of the beautiful images spread across the pages or my computer screen really inspires me, so when we got the opportunity to work with a local wedding photographer to create stationery for a styled shoot, of course I jumped at the opportunity! For those of you who don’t know, we got to celebrate our first print publication this spring in The Knot’s Ohio Weddings magazine when bride Emily got featured as one of their Real Weddings. Of course this wouldn’t have been possible at all without the wonderful talents of Emily’s sister, Jenny of Jenny Haas Photography, who shot such amazing photos of Emily and husband Nathan’s wedding day. Jenny’s photography style not only captures all of the beautiful details (including Emily’s custom-designed invitation set by yours truly! ), but also oozes with the love and sense of family that was certainly felt at Emily and Nathan’s ceremony and reception at Lostcreek Memory Barn in Casstown. So when Jenny contacted me a few weeks ago about participating in a style shoot for her photography business, we were ecstatic about being able to help out a friend (and possibly have the opportunity to be published again!). The theme for the style shoot was an elegant country club wedding, and Jenny asked us to create an invitation and menus with a simple but stunning calligraphy style. The results are just as amazing as the first time. 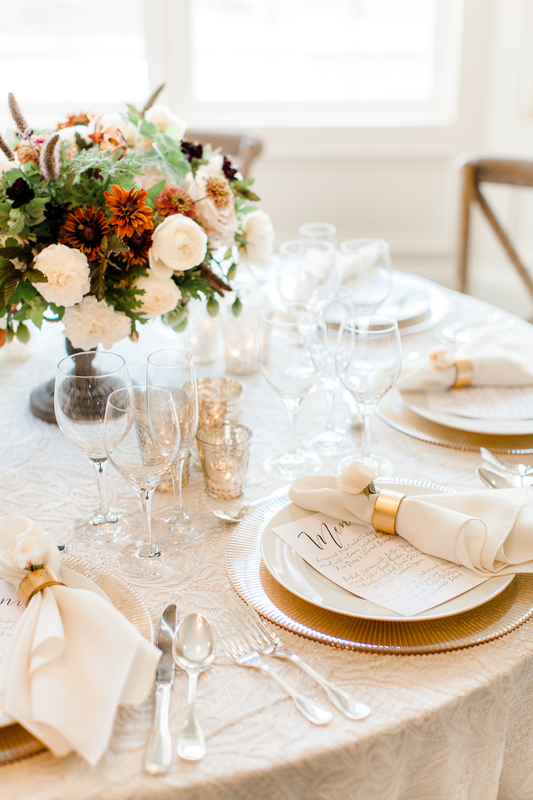 With the help of several other Dayton and Cincinnati area vendors (listed below), Jenny created a gorgeous style that is not only elegant and modern, but timeless. We were ecstatic to see the final results, and were honored to be asked to be a part of the shoot! For more from this gorgeous style shoot, as well as more beautiful wedding photography, check out Jenny’s post over on her blog! And keep an eye out on your favorite wedding blogs in the future, as you may see us again there!